This section includes descriptions and pictures of compilation albums which feature songs by Savoy. This promo only 17 track compilation album by Warner Music features the track "Velvet" by Savoy (track 2). Tha album also includes tracks by artists such as Bel Canto, Morten Harket (Spanish Steps), The Corrs and Madonna. The cover is red with pictures of 2 open metal nut crackers. Along the bottom, "Warner Music" is printed in yellow letters along a green strip. Down the side of the cover, it reads "God Jul & Godt Nytt�r" (Merry Christmas and Happy New Year). These CDs were used as Christmas presents by Warner Norway Employees. 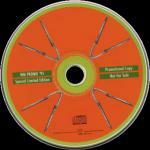 The disc is of similar design, but is printed in orange and light green with 4 nut crackers equally spread around the disc. The additional text "WM PROMO '95 Special Limited Edition Promotional Copy Not For Sale" is printed on green strips across the centre. This 36 track, 2 CD compilation of Norwegian artists includes Savoy's "Velvet", Morten Harket's "A Kind Of Christmas Card" and a-ha's "Crying In The Rain". The cover is white and features a picture of a Norwegian cheese cutter. The title is printed in white and red across the middle with the artists listed in white underneath. 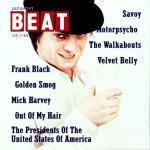 Even before the release of the first single or album by Savoy, the magazine "Beat" gave away a free CD with issue no.1/96. The 9-track CD features Savoy's song "Foolish" (4:33) as track 1. The cover of the CD is white with a picture of Bent Saether from Motorpsycho wearing a black hat and holding a glass. The magazine's logo is printed in the top left hand corner with the tracks listed in the bottom left and top right hand sections of the sleeve. The booklet which comes with the CD features a small group shot of Savoy. There was a limited edition not for sale promo compilation CD available exclusively for the 1996 "Norwegian Wood" festival in which Savoy performed. It features the album version of Savoy's "Tears From A Stone" as track no. 3. The insert features a small coloured band shot. This Swedish made compilation of 18 tracks features the Radio Edit of Star "I'm Not Stupid Baby" (4:20) by Savoy (track 15). The cover features a large 2 and 8 made up of a jigsaw pieces with pictures of planets in space. Above the numbers is the following text "18 original top hits Absolute Music". Some of the articts featured on the album are listed at the bottom of the sleeve. The inside of the sleeve includes a small shot of Paul and Lauren underneath the track details. The album also includes tracks by artists such as Multicyde, Britney Spears, Pet Shop Boys and Morten Abel. This Swedish made compilation of 18 tracks features the album version of "Grind You Down" (4:20) by Savoy (track 15). The cover features a large 2 and a 9 made up of coloured stars. Above the numbers is the following text "18 original top hits Absolute Music". Some of the articts featured on the album are listed at the bottom of the sleeve. The inside of the sleeve includes a small shot of Lauren and Paul underneath the track details. The album also includes tracks by artists such as Britney Spears, Pet Shop Boys, Robbie Williams and Morten Abel. This Swedish promo EMI Christmas compilation album "Merry Christmas" features Savoy's song "Star (I'm not stupid baby)". The album comes in a white card sleeve with "Merry Christmas" written in silver letters and two holly leaves underneath. The reverse of the sleeve has the track list printed in two columns. Other artists included on the album are Violet, Pet Shop Boys, Eternal, Paul McCartney, Staffan Hellstrand, Roxette, Blur, D'Angelo, Garth Brooks, Tina Turner, Joe Cocker, Robbie Williams, Meredith Brooks, Geri Halliwell, Victoria Silvstedt, Beastie Boys and Supergrass. Savoy are the last band on the album (track 18). The disc is red with silver text and holly leaves. 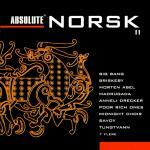 A Swedish made compilation album featuring 16 tracks by well known Norwegian artists (including Morten Abel, Madrugada, Savoy and Poor Rich Ones) was released in Norway. Track 11 is the radio remix / edit of Savoy's "Man In The Park" (3:56). The cover of the album is black with white titles and an orange `dragon' design . There are no pictures of the featured bands in the CD booklet and Savoy's track is not mentioned as being a remix. The actual disc is bright orange with black and silver titles plus more of the `dragon design' in black. This EMI inhouse promotional compilation album features "You Won�t Come To The Party" by Savoy. The sleeve is white with the title printed on the front and track listing on reverse. The disc is plain with the title and track list printed on it. Other artists, apart from Savoy (track 1), included on the compilation include Odd, Kaada, Akakama, Leif Ove Andsnes, Emmi, Standfast, Ed Harcourt, Sparklehorse, The Beta Band, Vikingarna, Adam F, Kylie, Starsailor, Robbie Williams, Paul McCartney, Pink Floyd and Diana Ross.